Enlarge The High-Power Subwoofer Module SAM-2 with the perfect equipment and workmanship for active subwoofer systems of the highest quality. The filters operate perfectly, for the subwoofer as well as the high-pass filter and a combination of systems of the highest quality is possible without any difficulties. ground lift switch of the studio technology against hum interference and various protective circuits (short circuit, overheating and DC voltage overload). The great power can also perfectly drive enormous bass speakers with a diameter of up to 46cm, the sound and the workmanship are absolutely convincing. 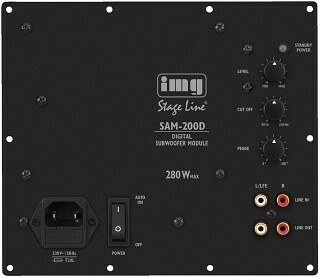 The high-quality active high-pass filter of the SAM-2 with versatile adjustments can conveniently be used as a bass relief of the main speakers and for optimising the sound. However, a regulated preamplifier output (Pre Out) is required for this. This kind of output is partly present at high-quality separable full amplifiers (Pre Out/Main In) or automatically provided by preamplifier/power amplifier combination or when using mixers. Line in: 7 V max. 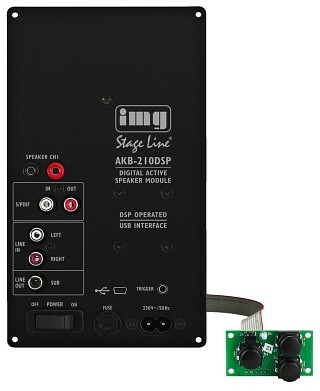 Enlarge Active speaker module with DSP technology, 200 WMAX, 120 WRMS, for versatile applications. With the third line output to be programmed by DSP, the range of applications can considerably be extended. 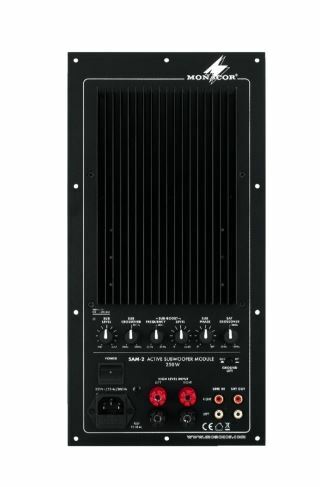 Actively controlled 3-way speakers, fully active subwoofer/satellite systems and a variety of most versatile speaker concepts can be configured and realised by controlling additional power amplifiers. 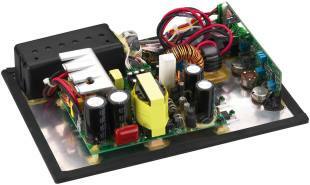 Enlarge DSP-controlled digital amplifier technology, for speaker building concepts. Speaker systems with digital signal processors (DSP) allow completely new possibilities. 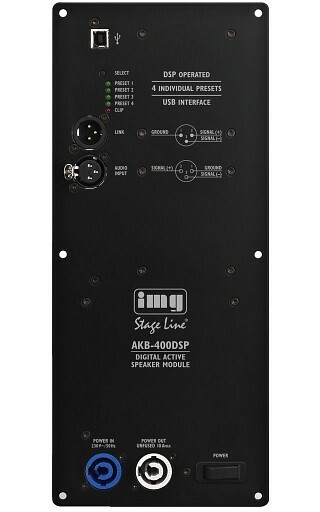 With the active speaker module AKB-400DSP, this technology is now applied in speaker building concepts. It is both suitable for 2-way speakers and for the application in an active subwoofer. The programming is carried out via a user-friendly software. For this purpose, the computer is connected to the module via a USB cable. A total of 400 WRMS at 4 Ω can be provided as desired, e.g. 400 WRMS for subwoofer operation, 2 x 200 WRMS for 2-way speakers or 350 WRMS for a bass speaker and 50 WRMS for a tweeter. Input impedance: 25 kΩ bal. 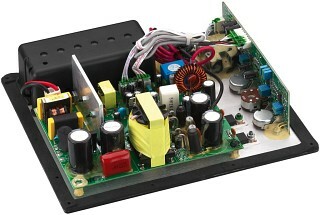 Enlarge PA amplifier module, with 100 V output. 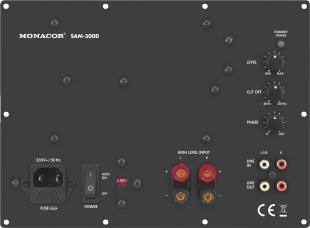 Aux input: 390 mV/26 kΩ, bal. 420 mV/11 kΩ, unbal. Enlarge Digital message and timer insertion, for the PA mixing amplifiers with insertion compartment.